The amortization table calculate process is quite complex. An amortization table will show you how mortgage repayments are made, including how much of your monthly payment is paid towards interest and how much is paid to your outstanding debt. An amortization table is a detailed month-by-month listing of repayments. 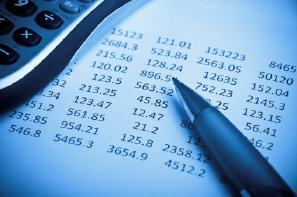 Each month, calculations need to be made based on the amount of principal owed. The process has several steps. Calculate the mortgage payment for the month. Reduce the principal by a month's payment. Calculate the amount of interest paid that month. To better explain, consider a homeowner with a mortgage loan of $100,000 at five percent interest rate for a loan term of 15 years. The monthly payment for this loan is $790.79. The next step is to determine the interest that must be paid on this loan. Interest is based on the five percent. The five percent is actually a yearly figure, which means it needs to be divided by 12 (the number of yearly payments.) Interest is always based on the amount of principal of the loan, based on the balance after the last month's payment. In this example, the interest rate per month would be about 0.004167. The principal on the first payment is $100,000 x 0.004167. Interest for the month equates to $416.70. This means that the initial monthly payment is $790.79 total. Of that, $416.70 is paid toward interest. The remainder of $374.09 is applied toward the principal of the loan. The outstanding principal balance at the end of the month is then $99,625.91. The second month factors the same way. The interest of .004167 is factored against the remaining balance of $99,625.91. The interest paid for the second month equates to $415.14. This means that of the $790.79 monthly payment, $415.14 is paid towards interest and the remainder, $375.65 is applied to the principal. This process continues month after month. You can figure out the entire amortization table by performing each of these calculations every month. As you can see, the amount of your monthly payment paid towards the principal of the loan increases each month as the interest decreases. This is because the outstanding balance drops each month with each payment you make. To save money on your loan, make additional principal payments on the loan to decrease the interest paid. For an amortization table calculate process that is not as elaborate and time consuming, you may wish to use an amortization calculator. The calculator will provide you with all of these calculations for you and will provide you with an amortization table like the one listed above for the entire term of the loan. In addition to this, you can obtain a copy of your amortization table by contacting your lender. When purchasing a home, an amortization schedule (which is the same as an amortization table) is provided to you before you sign your loan documents, in most states. This detailed expression of your mortgage should be reviewed prior to signing the closing mortgage documents.